There is lot of euphoria generated by photo sessions of gatherings in Qatar and Moscow. However, one needs to be realistic and never lose sight of harsh and painful facts on the ground. If we rewind the clock, we will see that a similar assorted set of Afghans was gathered in Taif; Saudi Arabia and had to be put in a prison for a night to agree to the mundane issue of who would be their spokesperson. In another round, all were pushed inside the most holy building of their religion;Ka’aba where they swore that they will stop the bloodshed and signed on their most holy book Quran. When they came back to their homeland, they brought the destruction that surpassed the punishment inflicted by Soviet Union on Afghans. This is reality, rest is our own imagination. This is a prelude. Look at these pictures carefully and then watch first few minutes of the video clip link from Lawrence of Arabia. Close your eyes for few minutes and then read the article that will follow. I hope Iran and Russia get totally involved in Afghanistan like in Syria. Ideally it is India which should be sending troops and giving visible military and diplomatic support to the Afghan government. But it does not have the will or wherewithal do do it. Indian dreams of Great Power are pipe dreams when they can’t intervene in Afghanistan in a high profile way. Any Great power worth it’s salt should have no inhibitions in overseas military involvement to protect it’s interests. VijayVan, Brown Pundits podcast is likely to see several Afghan leaders interviewed. Please assemble any questions you have for them. It is strange that almost no press outlets anywhere in the world is willing to seriously interview Afghan MoD, MoI or interact with them. Well Brown Pundits at least, is willing to interview them. India has the wherewithal to help Afghanistan win the war. Especially since China, Japan, Turkey, Germany, Italy, France, UK, Canada, Australia, Jordan, UAE are willing help in significant ways. If the BJP wins the 2019 elections, India will help a lot more. India’s levers of help move glacially slow. This is a general Indian dysfunction. If India sent only two thousand of her best officers and NCOs to teach at the Marshal Fahim National Defense University, and another 500 of her best engineers to maintain, repair and upgrade existing ANSF equipment, that would be enough. India does not even need to send that many. Since many additional Chinese, Jordanian, UAE, Turkish, European, Canadian and Australian personal would likely join India. A major push by India (and very importantly India letting China in) would likely be enough to persuade Trump to give the ANSF a clear chance at winning the war. Trump is angry that other countries are not contributing enough. Trump doesn’t yet understand the way parts of the US establishment have been sabotaging other countries helping Afghanistan. India could also help bring the Russians and Iranians into Afghanistan. India is Israel’s closest and best ally. Russia is Israel’s second closest ally. Germany is Israel’s third closest ally. [The US has become increasingly unreliable from an Israeli perspective.] India, Russia and Germany can convince Israel to back open and direct Iranian assistance to Afghan MoI and/or Afghan MoD. India could also directly assume full responsibility for an Afghan supply line through Iran. All Iranian direct help to Afghanistan could operate through the Indian chain of command. The Chinese have offered a massive training and equipment program for the Afghan National Security Forces under Indian and US command and control for over four years. India can publicly and unambiguously embrace the Chinese offer. If India did, then Trump could jaw bone the US establishment into accepting the Chinese offer too. India can give Trump the political cover that Trump needs. Another option would be for India to ask Israel to help Afghanistan (through Indian command and control if needed). Afghanistan would likely be deeply grateful for Israeli support and give Israel global legitimacy in the muslim world. India has the ability to act globally and decisively. Such action would win India gratitude from the Afghan people. India has no better long term ally than Afghanistan other than maybe Vietnam (which needs to be discussed another time). Indian decisive action would also win India friends in Iran, Iraq, Jordan, Turkey, UAE, Malaysia, Indonesia, and among moderate muslims the world over. This action would also win the BJP popular support among Indian muslims. The BJP could phrase this as supporting moderate muslims against Islamists. Let the Afghans, UAE, Jordan, Turkey, Indonesia, Malaysia work the major Indian muslim organizations and persuade most of them to openly and enthusiastically support this policy. This would also fitted with a BJP policy to support the freedom of art and thought of moderate Indian muslims at home. India is a force multiplier. Every dollar of Indian help is likely to be matched by $9 in help from allies. This is why Indian help is so decisive. Its really surprising as to how much all this “war” stuff overwhelms the public consciousness and how much more does a American/Pakistani person knows about it than an average Indian does. Its so exhausting to worry about a country not your own. I mean i feel even our ex military types have that much knowledge/interest on so many interest groups/ countries/proxies etc. It does keep Afghanistan as sort of in international headlines which it would perhaps have not been on its own “work”. I think Indians on average are naive/disinterested in comparison to Pak folks on all these “war games” stuff. Dont know if its a good or a bad thing. It’s a good thing that India hasn’t gotten sucked into the Afghan mess. The fact that Pakistan got sucked in (or forcefully involved ourselves) has only had negative consequences for the country. But then India doesn’t share a border with Afghanistan and was not going to be impacted by the violence in that country in the same way as Pakistan. The quest for “strategic depth” has done more harm than good to Pakistan and only made the Afghans hate us. Proxy wars are not good for anyone. Turkey views the Marshal Fahim National Defense University as her own baby (even now all the four year graduates from the Marshal Fahim National Defense University’s NMAA spend part of their training inside Turkey). Turkey helped write the rule of conduct, engagement and doctrine of the Afghan National Army. It is critically important that India fully involve Turkey in everything India does in Afghanistan and properly respect the Turks. Turkey is one of the world’s greatest, most powerful, most important and most indispensable nations. Turkey rightly expects to be treated as such. I am sure the irony is not lost on you Kabir. Pakistan–which I am sure you would agree does not like America–is a “US ally” and allowed access to all sorts of advanced US training and weapons. While Afghanistan–which is far more pro American and vastly more committed to fighting Jihadi Islamism–gets very little access to advanced US training and weapons. Isn’t an Afghan peace process going on for the past 20 years? Or is it past 200 years? Or is it 2000 years…? This is an unfair question Scorpian Eater. The Pakistani Army has been trying to destroy Afghanistan for a long time. This is not Afghanistan’s fault. 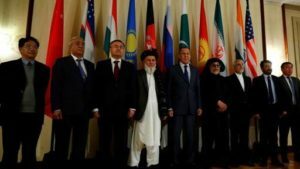 Afghanistan has the sovereign right to be friends with whoever they wish, be that India, Iran, China, Russia, Europe, Turkey, America, Japan or Australia. The Pakistani Army wants to rule Afghanistan through the Afghanistan government. 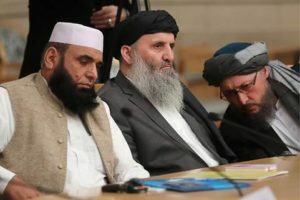 The Afghan Peace Process is interpreted by many Afghans as a partial Afghan surrender to Pakistan and allowing Pakistan to partly rule Afghanistan in return for a reduction of violence. The Quetta Shura in particular is viewed as controlled by the Pakistani Army. For 2.5 years a dead Mullah Omar ruled the Taliban. He gave interviews with the media, released public statements, negotiated with Obama (including negotiating the Bergdahl deal), and maintained command and control over many of the main Taliban militias in Pakistan and Afghanistan [technically he was the world emir and all the global Al Qaeda franchises reported to him through their respective chains of command]. It turned out that he had been dead. The Pakistani Army had been ruling through a dead man. The new Taliban “chief” Hibatullah Akhundzada was selected by the Pakistani Army. 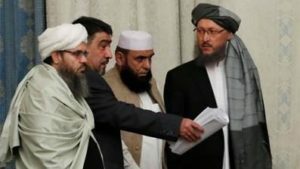 Isn’t is interesting that the main “Taliban” demand in the peace negotiations is dissolving the hated Afghan National Army? This has been Pakistan’s main goal since 2001. President Bush opposed a strong Afghan National Army for fear that this would kill the peace process with the Pakistani Army and cause them to retaliate with terrorist attacks around the world. Obama continued this policy until November 30, 2009. Then he made a public speech saying that it was now the policy of the UN, NATO and America to strengthen the Afghan National Army. In mid 2010 Obama changed his mind; blocking and reversing the McChrystal Petraeus plan to strengthen the Afghan Nation. He felt that without doing this the peace process with Pakistan would not work. He was also afraid of Pakistani retaliation. In particular the Pakistani Army has opposed the creation and expansion of the Marshal Fahim National Defense University (formerly called the Afghanistan National Defence University) since 2001. The UN NATO forces in Afghanistan [and for that matter Turkey, many European countries, India, and a large faction within the US Department of Defense] consistently pleaded to expand the university to give Afghanistan a real officer and NCO corps. The McChrystal 2009 Counter Insurgency report recommended expanding the number of officers admitted to 4 year academy to 3,000 per year. Currently it is 600 men plus less than 50 woman per year. At least Afghanistan “HAS” an officer training program, albeit tiny. Afghanistan’s planned development of the NCO corps was blocked by President Obama [in the cause of “peace”]. The vast majority of Afghan NCOs only get 4 weeks of training. Which is massively insufficient. Just to point out how ridiculous this is . . . India trains more Afghan National Security Officers “INSIDE INDIA” than the number of 4 year officers the entire country of Afghanistan trains inside Afghanistan. The entire country of Afghanistan only has less than 100 operational artillery pieces (both Bush and Obama felt that Pakistan would be threatened if Afghanistan had more). All D 30s. The number has fallen over the past dozen years from wear and tear. India has more than 600 D-30s sitting in storage unused. China may have more than a 1000 old D30s sitting mostly unused. Plus China very inexpensively manufactures and exports more advanced updated D30s. Naturally Bush and Obama felt that India and China donating D30s to the Afghan National Army would provoke the Pakistanis and end the peace process. So that could not be permitted. China’s offer of 600 used Mi17 helicopters (the entire Afghan Air Force only has 22 operational Mi17s) was similarly blocked. This could easily turn into a 100 page rant. So I will stop. It is enough to say that President Bush and President Obama have sabotaged the Afghans and prevented them from militarily winning their war with the Pakistani Army. India has been far too slow to get more involved in 2017 and 2018 when President Trump finally gave India permission. To China’s credit China tried to offer to equip and train the Afghanistan Air Force and Afghanistan National Army in 2017 and 2018 in a major way under both American and Indian command and control. But India and the US DoD rejected this Chinese offer. I blame PM Modi for this. President Trump would probably have been in favor if it was presented to him properly. But the people around Trump did not want President Trump to seriously consider it. I also blame these people in the Trump administration. Afghanistan male cadets complete part of their course work in Turkey. Turkey, India, United Arab Emirates, Jordan all play a major role in the training of the Afghan National Army. United Arab Emirates and Jordan play a major role in the training and advising of the Afghan National Army Special Forces. Even now Turkey, India, the UAE and Jordan could all be persuaded to significantly increase their involvement in training the ANSF. One of the reasons they don’t is that they are not sure America really wants it; and they are not willing to defy the United States for the Afghans. Previous PostPrevious Do you want to join the Caste of the Europeans?